Seizure | How to deal with it. Back in the past when technology was still primitive. People are succumbed to real “sit-in” talk to friends and family to communicate, talk, get in touch or simply being connected. People are to dial their telephones and spend hours and hours of talking to get an update on a person’s life. In today’s time. Being connected is as simple as hitting a small word on social media that says “like”. When I saw this. I really liked it…. I love social media as y’all know. Let’s continue to use it to encourage, inspire, exhort, inform, rally, humor and connect with one another. It’s a beautiful thing when that happens, but if you use it as your measure of reality and don’t have close personal friends with whom to process your private life & feelings then you might run into some challenges. Build life with people who know you and be wise with what you post. Not everyone has to know everything all the time. Your feelings can change in a heartbeat, but once you’ve posted it is there to stay. It is unrealistic to expect people you follow to post every detail of their life & just because they post some things does not mean they are posting everything. If nothing remains private or personal, then things can get messy & blurred. Private is not secret, it is simply private. Personal is not “not being real” it’s personal. I’m not sure why we think “keeping it real” means venting our stuff on social media. We can process stuff privately and personally with people who can actually help to make a difference. 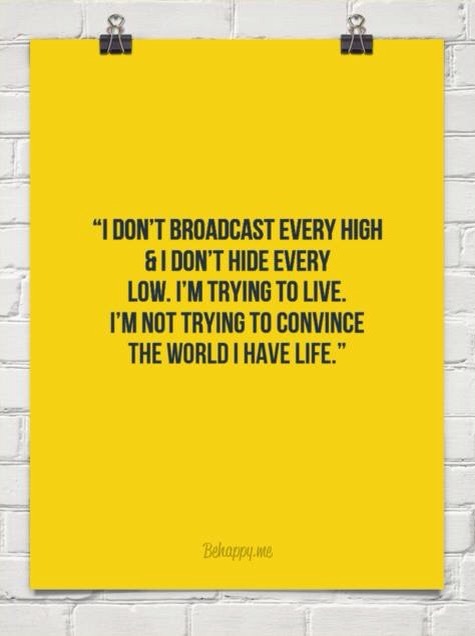 I’m keeping it real when I’m positive & encouraging. Let’s be more responsible in the use of social media. Aye for a change in 2016! Back in gradeschool, while boys in our school were busy playing with marbles and ID beads. Girls has this thing “stationery exchange” where you’ll be exchanging 2 pages and an envelope of a stationery paper set to someone else to a set you like in her collection of stationeries. This started my love and passion with stationeries and crafting. As I was growing older, I must have forgotten this passion. Just this year, my passion and love for crafting must have been ignited once again after seeing beautiful planner decoration. 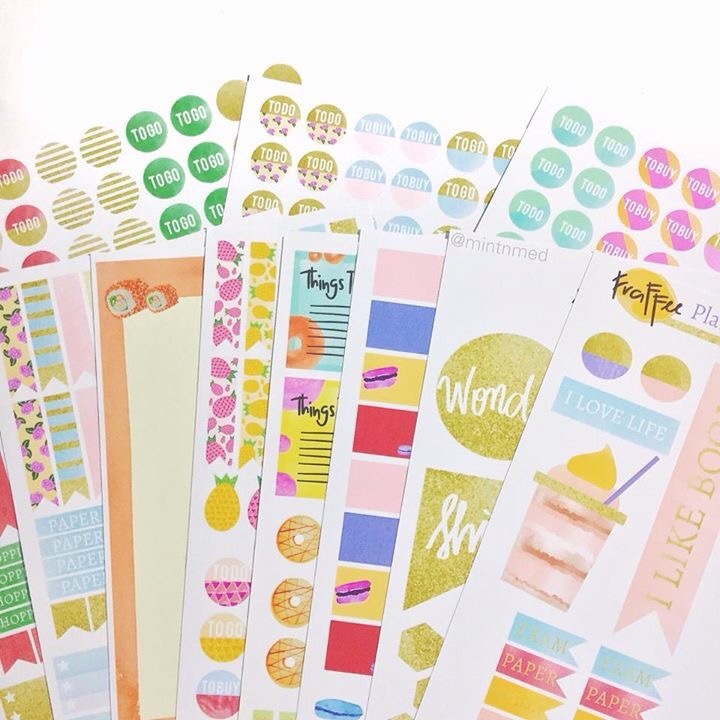 Now I am addicted to washi tapes, planners, stamps, stickers and clippies. 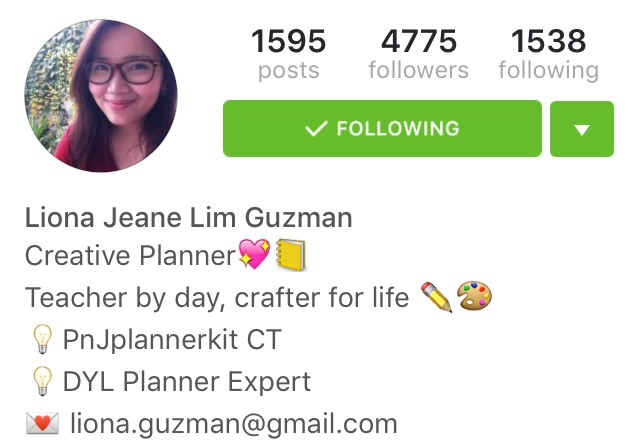 Anything about planner decoration and creative planning junkies. 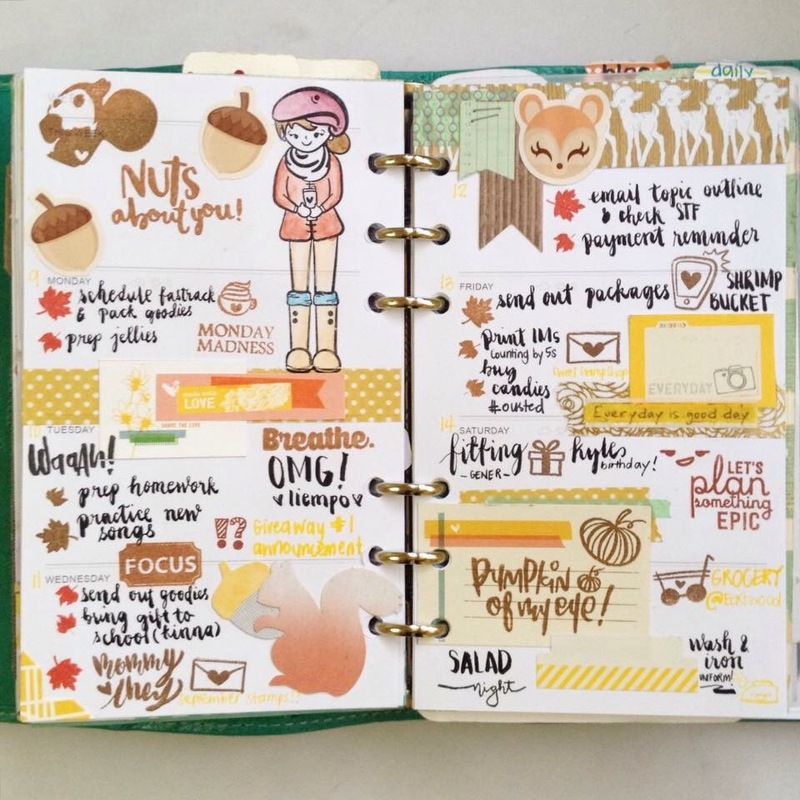 In the world of creative planning, everyone is dedicated in making one’s planner as decorative, creative, functional, chic and as fun as one could. This involves use of so many stuff. I remember my first planner was an executive planner my father gave me. It was bare and dull. But Ive discovered much more fun ways to express and improve my craftsmanship. Since I’m not an expert planner crafter. I’ll just share my own personal choices on where I shop my tapes or the recommended craft shop. 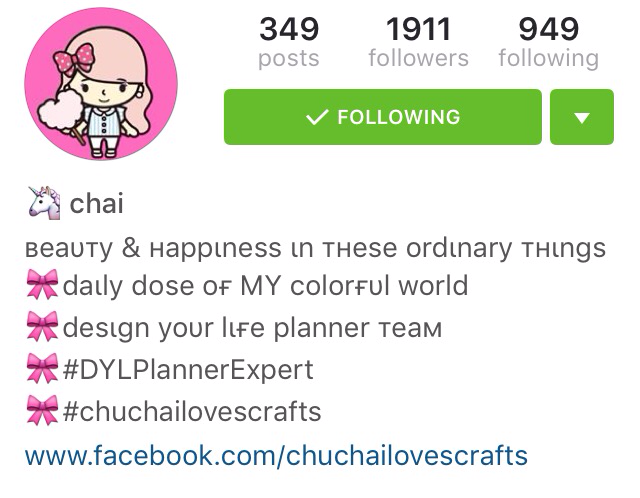 Do check out their Instagram and Facebook accounts. Stamps are fun stuff to use in creative planning. It definitely tests your creativity, artistry and imagination. From combining stamps that should go well together on your week’s theme or layout to mix-matching and playing with its ink color. Just look at these beautiful creations! I promised myself I shall start collecting stamps from Marryl Crafts, Mommy Lhey and Studio L2e. They are the best in clear stamps. They’re a bit pricey ranging from php 500-900. If you’re in a tight budget, you can always opt to using rubber stamps or roller stamps. It really all depends on your preference. The very basic thing I guess when it comes to crafting. You can always buy one at your local bookstore or craft store, you can create your own and print them on sticker papers or you can order them online. There are plenty of online craft stores that offers such. Do check out Planners and Journals. They have monthly subscription kit you can purchase with different monthly theme. 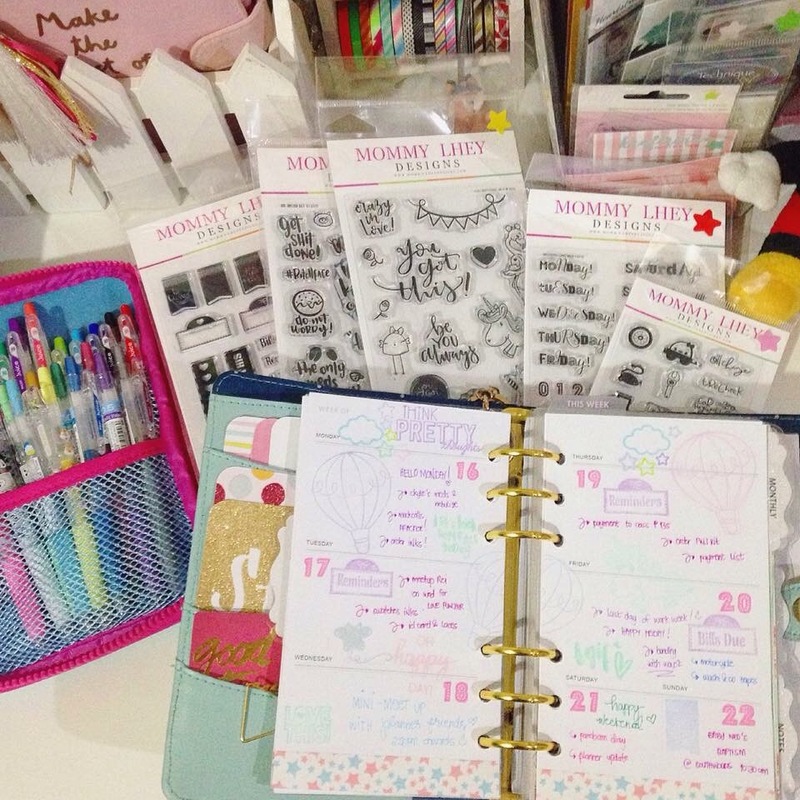 These wonderful items would make one’s planner a work of art! However not all of us have been gifted with creative minds and artistic talents. Luckily we have generous and talented people in the circle of creative planning in the Philippines. I’m featuring them as they are my favorite and their works are so creative, vibrant, fresh and colorful! And I am pleased to share that on Saturday, November 28, 2015, Liona, a creative planner expert shall be doing a demonstration about creative planning. 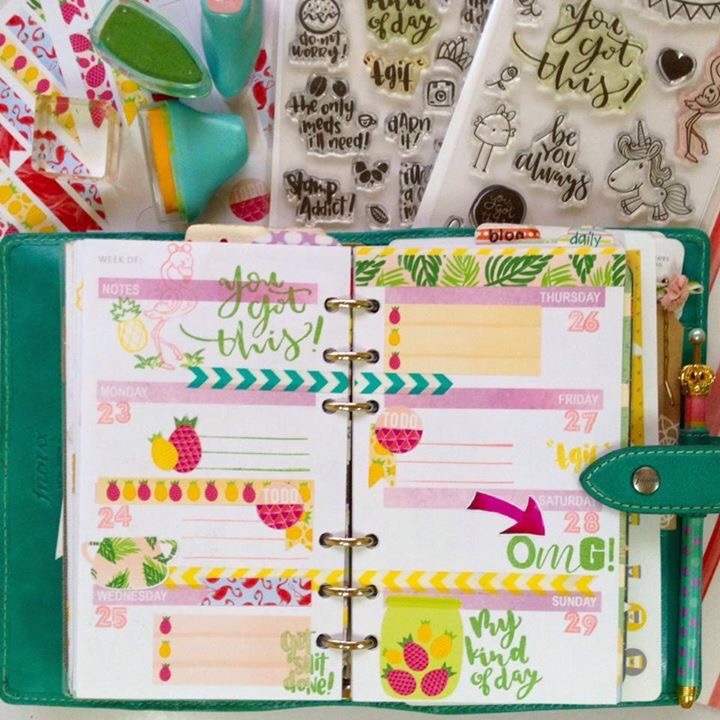 She’ll walk us through on how to turn our planners into a glamorous piece of art with the use of stamps, washi tapes and other crafting paraphernalia. This special session happens during the Maker’s Market at the 2L Bridgeway at Estancia in Capitol Commons, Pasig City. This event is free but pre registered participants shall be prioritized. Click on the link to register: Creative Planning Demonstration. So what are you waiting for crafters! Register now! See you all there! I am a self confessed vain when in comes to footwear. Dawn would always scold me for having shoes that I dont really wear or havent worn yet. 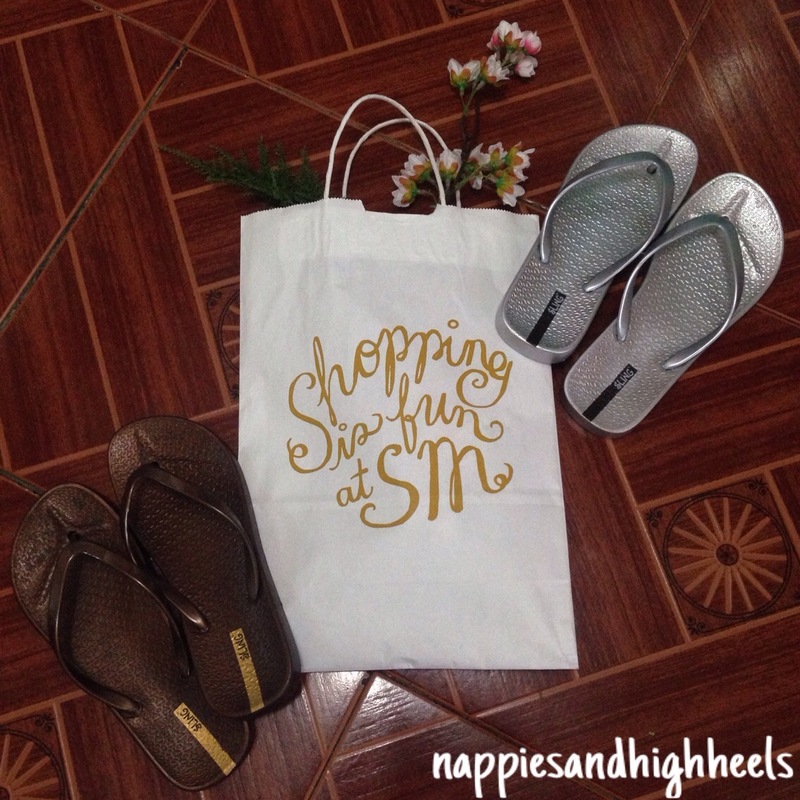 When I got pregnant I opted to wear flip flops and simple sling flat sandals to keep my feet comfortable. After all they’re carrying my full body weight, they must at least be pampered. Dawn’s cousin gave me a pair of very pretty havaianas flip flops. Its simple , sleek and I think Ive worn it alot when I was pregnant. It is still in good condition, unfortunately, our 5 month old ChowChow chew on it (which I promised I’ll look for a new sling and replace them) and ended the fate of my slipper. darn that dog!! suggested to pick something that could also be worn with casual clothes. So I got this. Sling Flipflops. I immediately liked its colors. Luckily theyre on promo. Getting two pairs for Php250. Its original per pair price is Php 199. That’s a big discount! I’ve chosen dark brown and silver. They’re easy to pair with any clothes and its simple, bold color. Apart from the discount, I liked Sling because its design are comparable to Ipanema. The thickness and softness of its sole bed are good. I remember my first pair of Sling Flipflops. I instantly fell in love with it. I even posted it on my instagram account. So if you’re looking for quality, simple but chic flip flops, consider Sling on your next purchase, you’ll never know, you might score a good promo too just like me. This blog post is a non-sponsored article. All items, food or materials shown are personally bought by the author. Motherhood can be a series of tough and challenging times with your little one but also is packed with genuine happiness , sacrifice and unconditional love. As they say, no amount of love can ever be compared to a mother’s love to her child. Our most recent concern is her startle reflex. It is quite evident and is disturbing her sleep. Often times, she would get startled in the middle of her sleep, would disturb her precious moment, cry and we would have trouble putting her back to sleep. It made me sleepless for a couple of weeks. I would try to swaddle her using her regular wrap blanket or I would keep her in my chest. Let her sleep on me all night long just to make sure she’ll sleep peacefully. And that practice did really made her sleep well but not me. It wasn’t beneficial for us both. I had to think of other ways to help us get our precious sleep. After posting my rant about carrying her all night long. A former co worker, colleague and practicing physician advised that I swaddle Ellie. To which I replied. ” I tried, but it didnt worked “. She said ” try a swaddle blanket “. Even before giving birth. I already thought of purchasing a swaddle blanket but I really had the hard time finding one. I saw one at SM Baby Section and its about Php800.00. Of course the frugal side of me backed off and said, I’ll just swaddle her using a regular baby blanket. But after weeks of sleepless nights, I guess my exhaustion sinked in and Ive decided Im gonna need that freakin swaddle blanket. 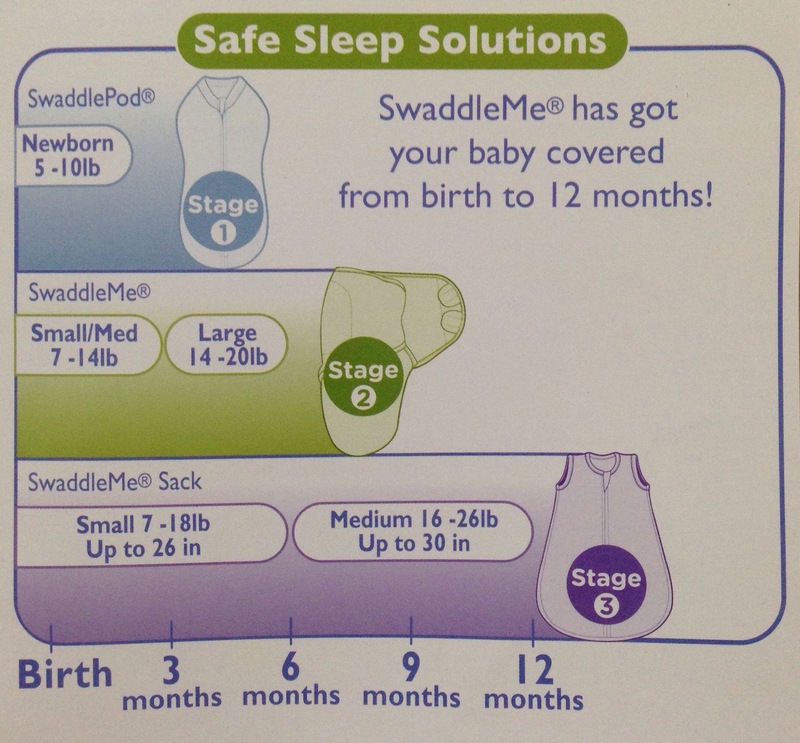 Swaddling helps reduce loose beddling in crib and helps keep baby safely on their back. It soothes baby by preventing them from startling awake. 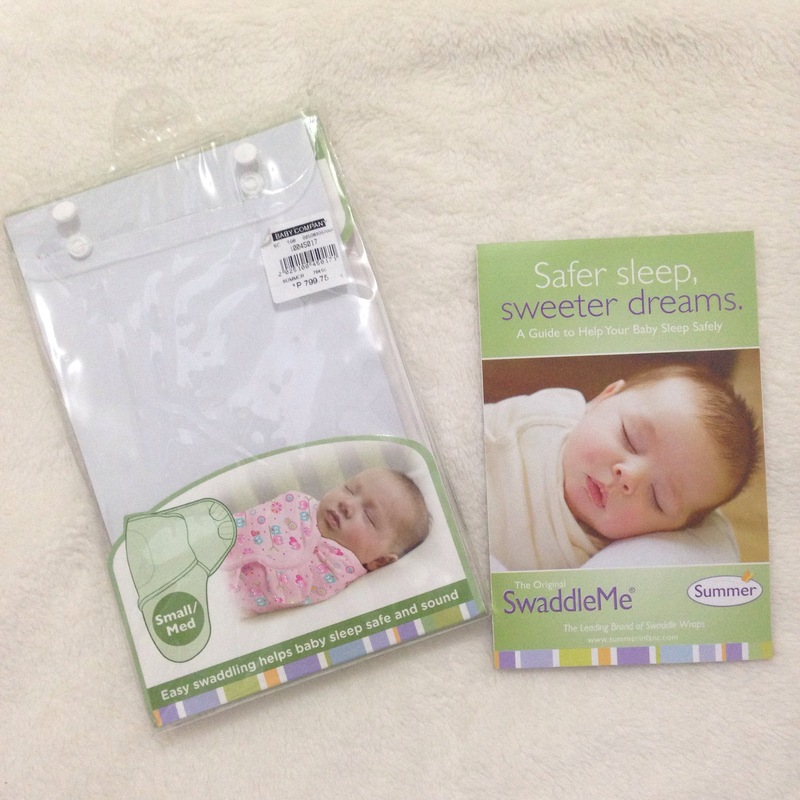 This led us to: Summer SwaddleMe Adjustable Infant Wrap. At first I was kinda pessimist that It’ll work on Ellie, to my surprise, It really did! Stage 1 of the Swaddle Me line. 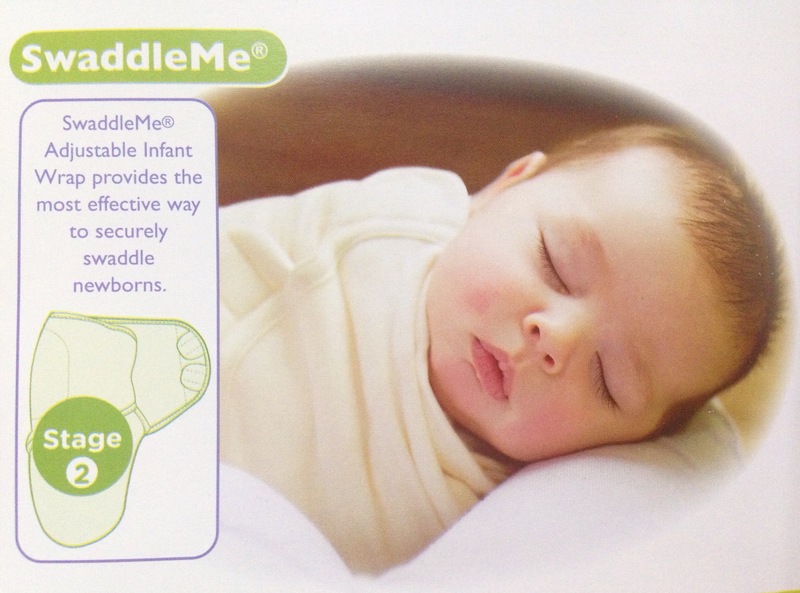 Ideal for newborn up to 10 lb weighing babies. Available in 2 sizes: Small/Medium which can hold 7-14 lbs baby and Large which can carry 14 up to 20 lbs baby weight. Also available in 2 sizes: Small which can carry 7-18 lbs lbs baby and can fit up to 26 in child and Medium Size holding 14-20 lbs baby up to 30 inches. Some parents who happens to have monetary limitation may opt to do the conventional or regular way of swaddling a child using this technique. Never swaddle when baby can roll over from back to stomach. Never allow fabric to cover an infant’s nose or mouth. Dress a baby lightly before swaddling. A baby should not feel ht to the touch. 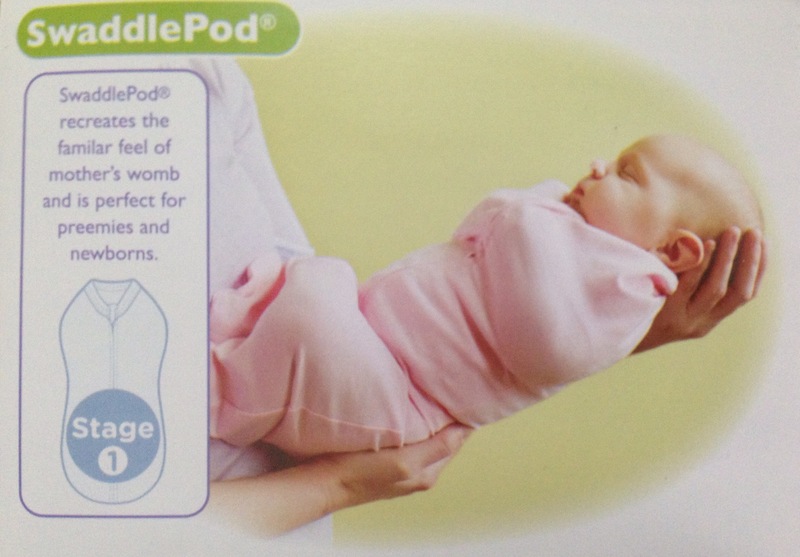 Now this is my Ellie in her small SwaddleMe Adjustable Infant Wrap. She slept quietly and peacefully whenever I use this Summer Swaddle Me blanket on her. My only challenge now? Her sleep routine. Now that’s a different case. 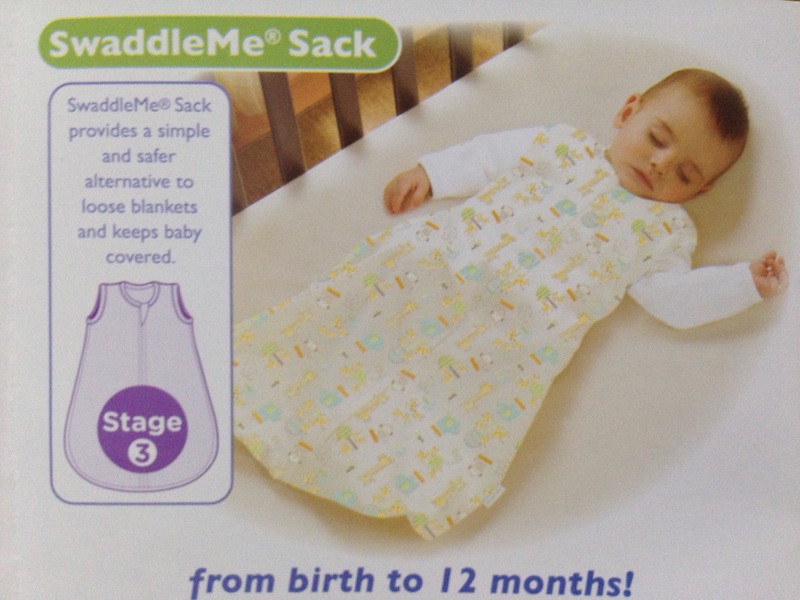 For more items and swaddling needs, visit Summer SwaddleMe Website at SwaddleMe.